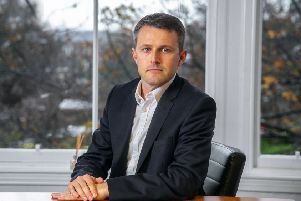 Alistair Rushworth is a Partner at Turcan Connell. More than 700MW of small-scale renewable energy has been installed by homeowners and businesses since the launch of the Feed-in Tariff (FiT) support scheme on 1 April 2010, according to research by Scottish Renewables. The UK Government has, however, closed the FiT scheme to new applications from 1 April. That said, uncertainty was rife throughout the life of the FiT scheme. Through repeated and significant reviews by successive governments, and in particular some severe tariff cuts, the FiT scheme still succeeded in stimulating small-scale renewable electricity generation. Some would argue that is what a subsidy for an emerging technology is for. With the differing policies on energy as between the UK and Scottish Governments (but with energy being reserved to Westminster), particularly in the ongoing context of (dare I mention it) Brexit and SNP cogitations on another independence referendum, it seems unlikely we will see an end to uncertainty soon. There will no doubt be a requirement before long to power a new era of electric motoring and Scotland will continue to enjoy a disproportionate share within the UK of natural resources suitable for renewable energy generation – one would assume renewables will necessarily continue to form part of the energy mix north of the border.